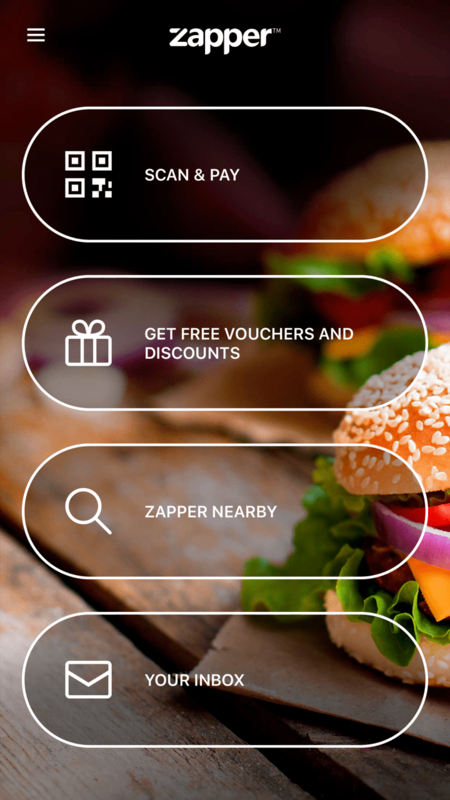 Zapper provides a simple and satisfying user experience that is convenient and valuable. 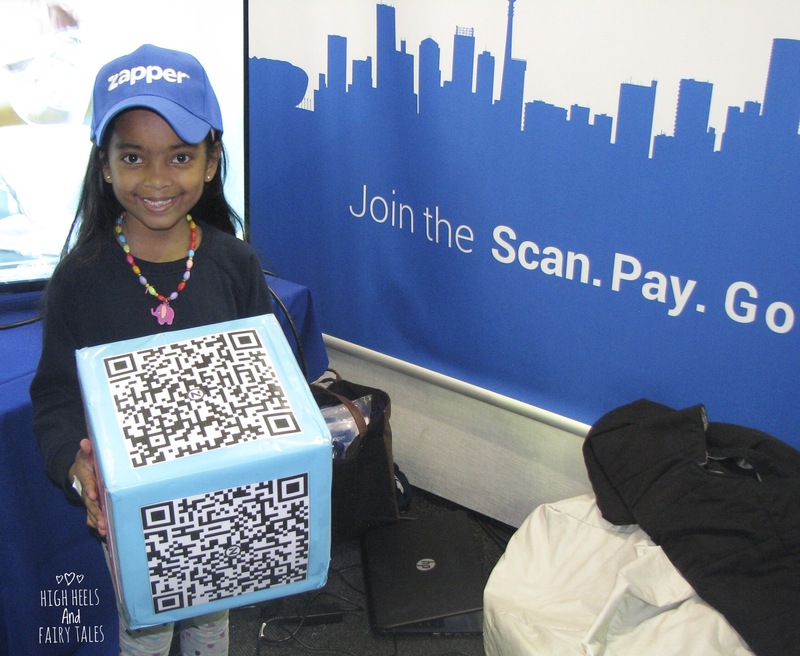 When you find a Zapper QR Code on your bill, scan it with Zapper and confirm the amount to be paid. Whether you&apos;re paying for a meal in a restaurant, a bill at home, or shopping online, the experience is the same. Quick. Simple. Secure. I&apos;d recently downloaded the Zapper app on my phone. 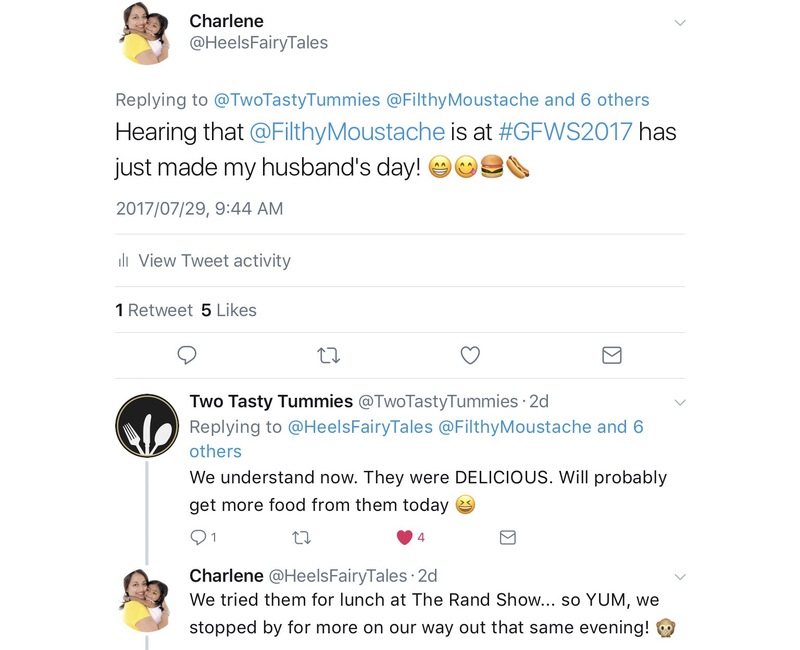 I&apos;d used it once, and while impressed by the convenience, stopping by their stand at GFWS2017 on Saturday definitely helped us understand how it works better. We chatted to the very friendly Ana, Sasha, and Robyn. The ladies explained the features of the app, and showed me on my smartphone how I could search for vouchers that nearby restaurants have on offer. 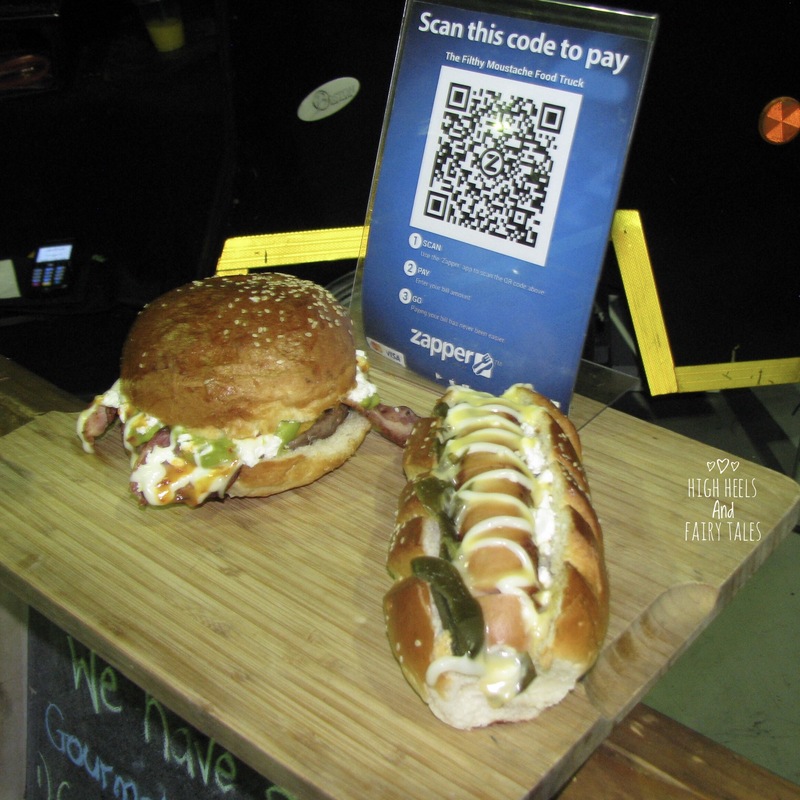 Robyn also quickly sent me a list via WhatsApp of all vendors making use of Zapper at the show. After the serious stuff, we got to play the dice game. 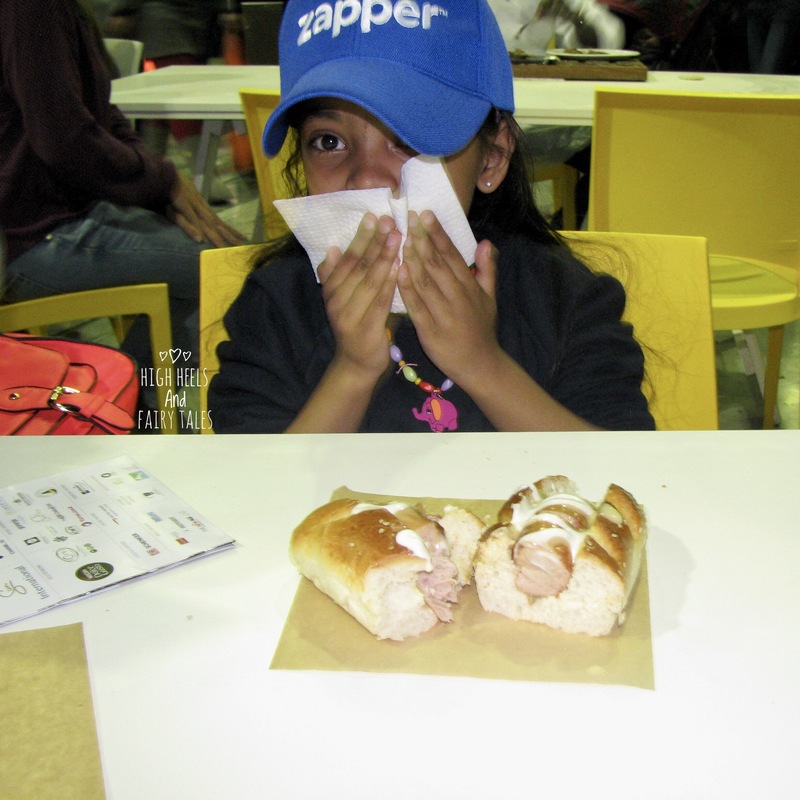 Zee volunteered to roll the dice for us (she looked the proper Zapper brand ambassador too in her blue cap ). Then we scanned the QR code on which it landed to see if we&apos;d won. Shawn and I won a R20 voucher each. Zee saved the best roll for my cousin, who was pretty chuffed with his R40 voucher win. Of course I let him know that I was very jealous. 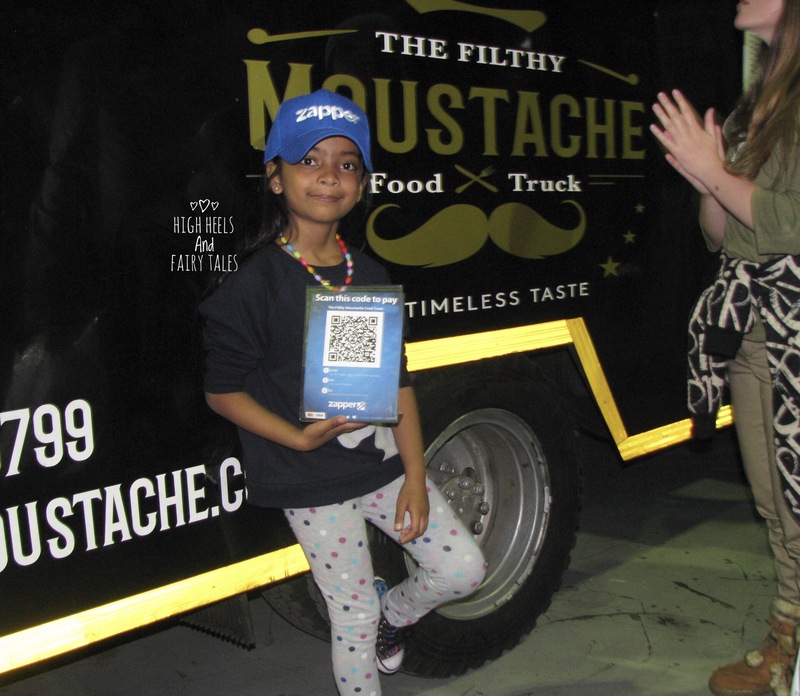 We were ravenous by then, so The Filthy Moustache was the first place we decided to use Zapper that day. I mean, I can&apos;t even imagine anywhere else being our first food stop. We&apos;d tried their food earlier this year, and we were hooked immediately. Also, ever since I told Shawn they were going to be at the show, he could hardly wait! We didn&apos;t even have to look at the menu, we were like, "Manometer and plain gourmet dog please!" My cousin and his wife went for the Manometer as well, after hearing us speak lovingly and longingly about the glorious, messy food we were about to eat. 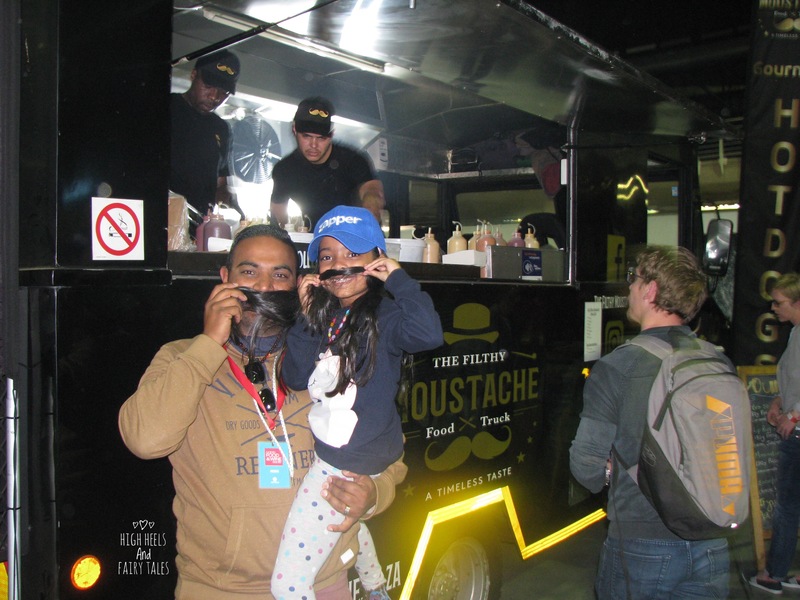 I think that The Filthy Moustache is incapable of disappointing – the food was just as delicious as we remembered! And just as messy – if you&apos;re doing it right, you really do get quite filthy digging in to those burgers and hot dogs. Sorry, GOURMET burgers and hot dogs. 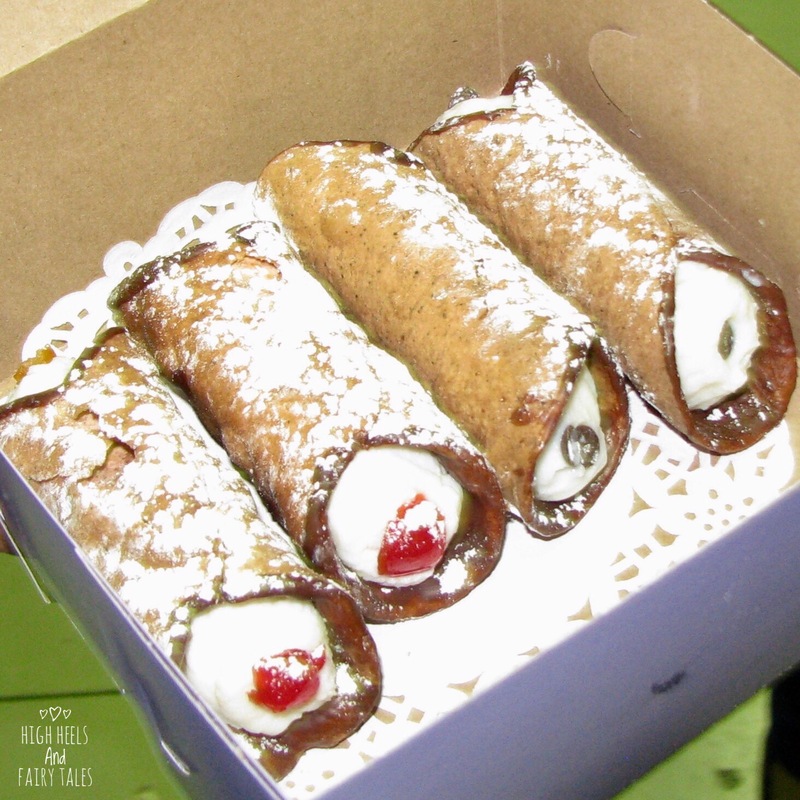 Next we headed to a stand close by for cannoli. Only when I transferred the pics to the laptop did I realize we didn&apos;t get the stand name. Seems even the camera could only focus on all the yummy pastries. The outside is crispy, and the filling was sweetened ricotta cheese with chocolate chips or fruit. I hadn&apos;t tried the tube-shaped Italian pastry before, and I thought they were really yum. Sweetened ricotta – oh my! My cousin and his wife say these weren&apos;t quite as good as the cannoli they&apos;d eaten at a little Italian place elsewhere in Joburg. Guess they&apos;ll have to take us next time we see them, and I&apos;ll give you a better-informed verdict then. We also discovered what may be the best piri-piri (/peri-peri) sauce ever! 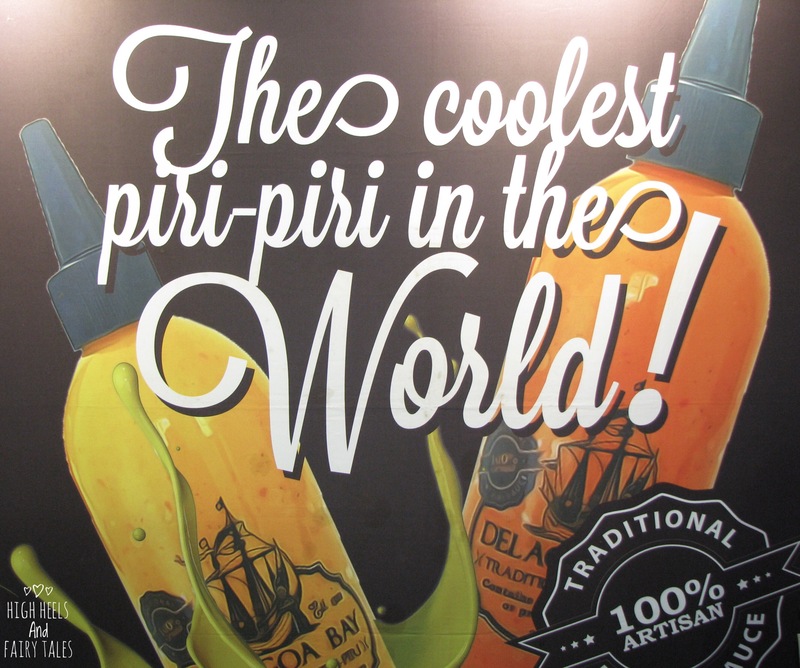 Delagoa Bay&apos;s traditional piri-piri and their piri butter melt are just out of this world. One taste, and Shawn was more than happy to get out his phone and scan that QR code for a bottle of each. 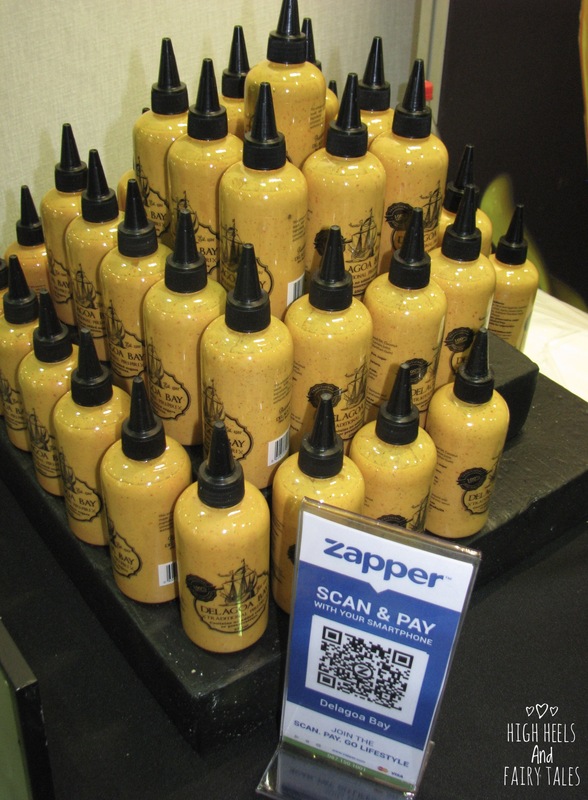 He was as impressed with how quick and simple Zapper made paying for things at the show, as he was with the spicy goodness we&apos;d just tasted. 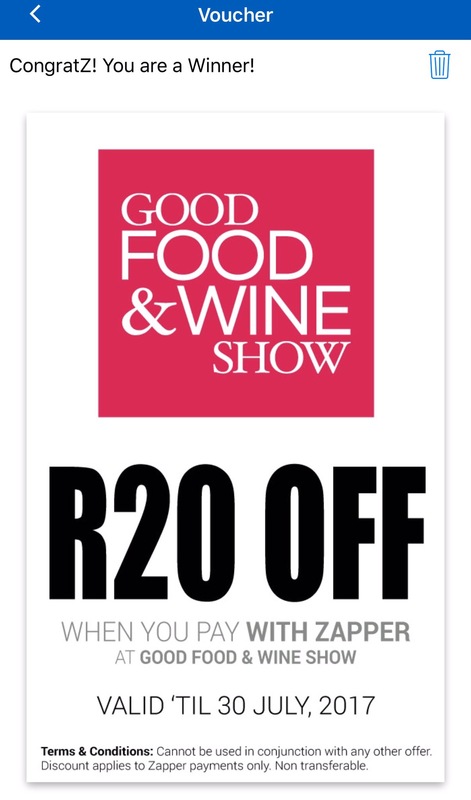 We had an awesome day at the Good Food & Wine Show, and we cannot wait for the next one! And it was great making payments quickly and securely with the Zapper app. It&apos;s definitely one everyone needs to have on their phones.